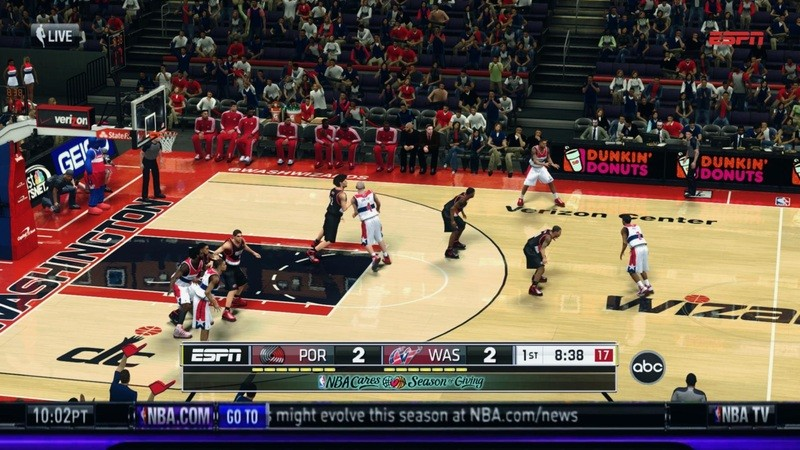 Whole screen watermark mod for NBA 2K14 PC which consists of three still images: ESPN logo at the upper-right corner, NBA TV live logo at the upper-left corner, and NBA.COM horizontal information/news bar at the bottom. This mod will spice up the visual presentation in this game. I highly recommend exrxixxx's ESPN scoreboard to go along with this mod. Installation: Place the .iff file in your NBA 2K14 directory overwriting the default.